CARGO Cosmetics mini lip gloss in Anguilla: Its super high shine gloss delivers intense color payoff and locks in moisture to keep lips feeling hydrated. This longwearing lip gloss has a slick texture that feels creamy gliding over lips without being sticky. Eva NYC Up All Night Volumizing Spray: Get the ultimate blowout with this multi-tasking spray! The light-weight formula adds volume and texture to hair, while protecting against heat for healthier styling. Mitchell and Peach Fine Radiance Face Oil: is a highly effective face oil packed with powerful natural anti-oxidants and vitamins that are instantly absorbed to leave skin feeling plumper, firmer and glowing with radiance. ModelCo BLUSH Cheek Powder: creates a beaming, rosy glow to brighten every complexion. The micronized color pigments and luxurious, pressed powder delivers a sheer, natural radiance that lasts all day. NYX Cosmetics Slim Eye Pencil: Slim, trim but never prim. The creamy, long-wearing eye liner formula goes on easily and resists bleeding. Most of the products were a miss for me this month. I am not an eyeliner girl and I keep on getting them from Ipsy. Its no big deal, I just hand them off to friends or donate them to a local charity. Fingers crossed Ipsy will step up their game and make March an awesome month! 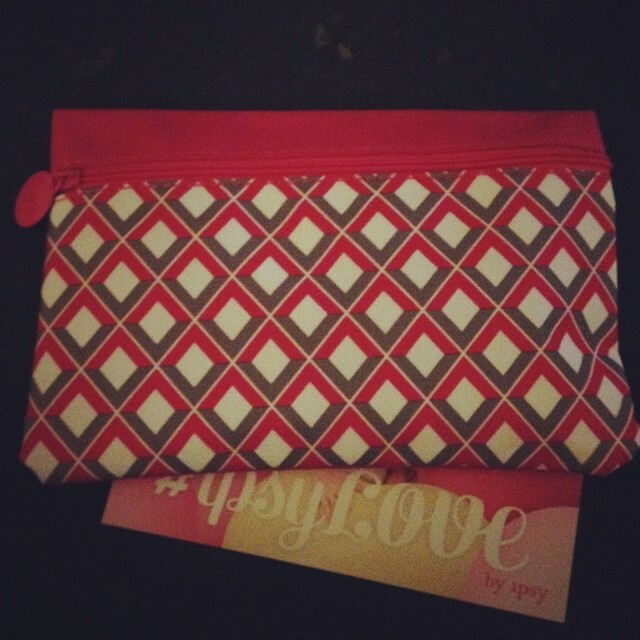 Do you want an Ipsy Glam Bag of your very own? Well then, for $10 a month (shipping is free) you will receive a Glam Bag filled with deluxe samples and full-sized beauty products. Members can watch and play along with the stylists with the same products that they are using. If you want a bag of your very own or more information please visit http://www.ipsy.com/r/1w1i Trust me you will be glad you did!